1. Turn trash to treasure, or at least, not be so quick to throw it away. There is no away. Today’s aging furnishings will soon become vintage. Think about it. 2. Avoid toxic materials. Viable alternatives exist. Go find them. 3. Support FSC certified wood. Write it into every specification. As we increase the demand, supply and price reductions will surely follow. 6. 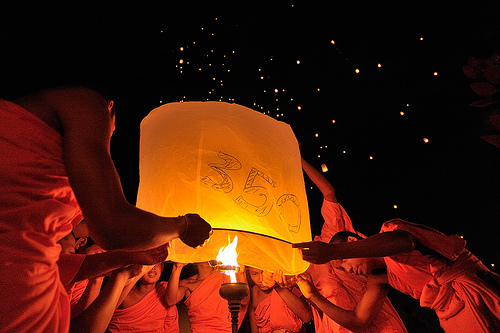 Remember this number – 350 – and pledge to redouble your efforts to build a global climate movement strong enough to get the world back to 350. 7. Switch out every incandescent light for a CFL or one of the fabulous new LEDs. 9. Purchase carbon offset credits. Get a list of reliable providers here. 10. Avoid greenwash by learning more about what’s truly green. Third party certifications are a great place to start. 12. Eliminate paper use – and plastic. Go digital in the office and polyester or canvas at home. (Penny’s) favorite reusable is by ChicoBag. 13. Boycott bottled water – at the office, home, on the road. Install water filters or use a water delivery service. Tote your water in a stainless steel BPA-free bottle (example here). 14. Eat healthier and exercise more – everyone’s inevitable resolution. This year it’s yours by eating locally grown organic food and leaving the car at home. Walk or bike to work. Thanks for passing on those great ideas. Even if we all just make one change…..